We're never too young or too old to learn about...ANYTHING and everything! 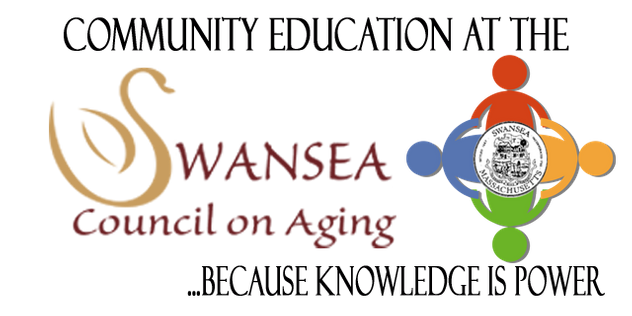 At the Swansea Council on Aging we understand and appreciate the importance of education and being informed. Each month invite guest speakers to present FREE educational workshops on a variety of topics including health, nutrition, fraud, abuse, scams and many others. It's important to keep up with the latest news. Be sure to check Swansea's Senior Scoop for the latest speakers. In addition, many of our workshops are recorded and broadcast on public access cable channel 15. We hope you'll join us!